LITTLE BRITAIN STYLE VOICE OVER FOR START OF JONATHAN ROYLE’S 2012 COMEDY HYPNOSIS SHOW…. Obviously this will be voiced over suitable background music including the Little Britain Theme and such. If your able to do this, please inbox me directly on royle@magicalguru.com with an example of your work (eg of these characters) and also an idea of how much you’d charge me to record this …. This has been Legally copyrighted – so other Hypnotists – you have been warned! CHEQUE OR WE CAN COME TO SOME OTHER ARRANGEMENT . I’VE HEARD HE DOES AN EXCELLENT SHOW DO YOU HAVE ANY OF HIS DVD’S? HILARIOUS COMEDY HYPNOTIST JONATHAN ROYLE? ACTUALLY I WAS LOOKING FOR SOMETHING A LITTLE LESS PAUL McKENNARY. SO I’LL WAIT. (BIG PAUSE) FOR ROYLE’S LIVE SHOW TONIGHT. ROYLE LEGAL – INSURED – SAFE & ETHICAL? HYPNOTIST WHO HAS TRAVELLED THE WORLD WITH HIS COMEDY SHOW. MAKE MY Mr. DUDLEY BELIEVE THAT I AM A REAL LADY. ARE NOW LADIES & WE DO LADIES THING’S.. TURNED ME INTO A BABY ON STAGE..
KITTY OVERCOME HERE FEAR OF HEIGHTS ……. I DID’NT PUSH HER….. SHE FELL..
JONATHAN ROYLE GUY NEVER DONE NOTHING…… HE’S INNCOCENT…. I – N – N…. TO HER AS EVERYONE KNOW’S SHE’S DONE IT WITH AN ALASATIAN BEHIND THE BIKE SHED’S. THINKS SHE A MARTIAN AND A MAN SQUAWKING LIKE A CHICKEN. YES THAT’S RIGHT I’VE GOT FOUR VOLUNTEER’S HERE FROM JONATHAN ROYLE’S LAST HYPNOSIS SHOW. DECLARED COMPLETELY SAFE BY THE UK GOVERNMENT IN 1995. ANY SERIOUS MEDICAL ISSUES SUCH AS HEART PROBLEM’S. ENTERTAINMENT ALLOWING THE AUDIENCE TO BECOME THE TRUE STAR’S OF THE SHOW. NOT AROUND THE STAGE BUT AT THE STAGE – YOUR UNDER. I HEAR YA TALKING ABOUT JONATHAN ROYLE……..
OR MAKE YOU THINK YOU’RE A CAT…. FOR THE LAST BLOODY TIME – CAN EVERYBODY PLEASE PAY ATTENTION..
LOOK AT THE STAGE NOT AROUND THE STAGE BUT AT THE STAGE – YOUR UNDER. © JONATHAN ROYLE – 2011. London – England – UK – 29th & 30th October 2011. London– England– UK– 29th & 30th October 2011. THIS IS SET TO GO DOWN IN HISTORY AS THE ULTIMATE HYPNOSIS EVENT OF THE CENTURY.. 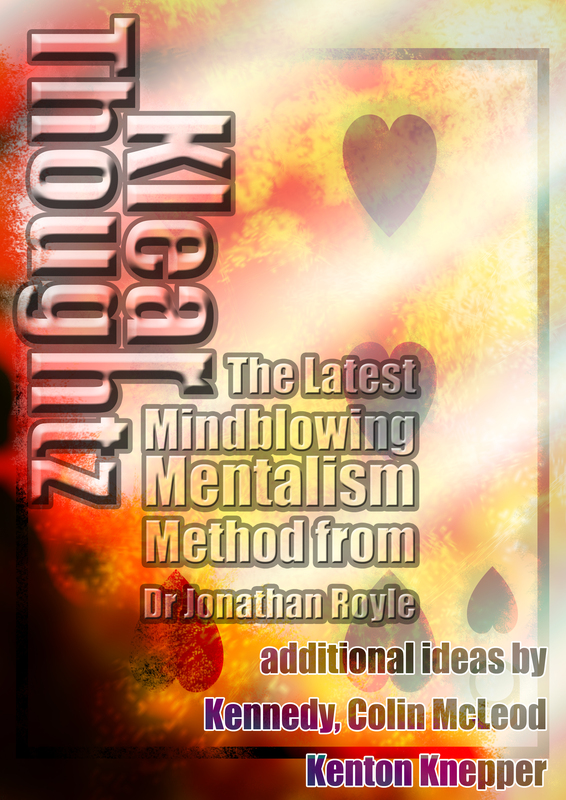 THE MENTALISM BOOK THAT WILL BLOW YOUR MIND..
As far back as 1990 Jonathan Royle in his former stage name of Alex-Leroy was regularly featured in International Media Publication “Psychic News” during which time they dubbed him the New Uri Geller and Doris Stokes rolled into one. Over the past 20+ years his “Psychic Style” performances have often included routines where he apparently helps an audience member to develop their own powers so they are then able to read the minds of audience members in a most amazing fashion. In more recent years he has even performed routines where a person located anywhere in the world on the end of a mobile telephone line is given the power to read the minds of audience members, again in a manner where all concerned will be truly astounded. Routines such as this (and the principles behind them) were used with great effect in Royle’s European Television Series “Life In The Bus Lane” which was filmed in Amsterdam in what is now fast approaching a decade ago. We mention this not to show off, but just to illustrate and clarify that Royle has for many of the routines and variations that follow got media and/or video documentation of having performed them for years. This is important to note with so many similar sounding routines and ideas having been released in recent months and years. We should further like to point out that one of the approaches used in one of the routines is based in part on work by Kenton Knepper and indeed prior to publication we obtained written permission from Kenton who was also generous enough to add some suggestions, advice and insights of his own to the project. And for those who notice some similarities in the routines you will learn and which will become possible and practical to you after reading this ebook with those recently released by Kennedy & Colin McLeod, for the record Royle has spoken to both parties about the methods used and has both established that a different methodology is, in the main being used in these routines and more importantly both Kennedy and Colin McLeod were both kind enough to give Royle their blessing in releasing this project. Indeed both Kennedy and Colin McLeod were also kind enough to suggest additional ideas and subtleties for one of the main principles and approaches explained within this book. The work that follows is not intended for the merely curious or the hobby performer but rather for the serious success minded working professional. All of the routines and ideas contained within this unique new “Klear Thoughts” package have been performed in the real world (unless stated otherwise) and the bonus materials that those who secure a copy today will also be sent have as you will see later on further down this page received rave reviews from major names in the world of Mentalism – Magic and Hypnosis. Remember this package, as presented here is Strictly a Limited Edition and will without doubt be restricted to a Maximum of 200 signed and numbered copies worldwide. Yes that’s right only 200 people will ever have the chance to get their hands on the contents of the “Klear Thoughts” ebook, when these 200 copies are gone this item will be removed from sale and never again be available. Therefore in order to ensure that this ebook remains as intended for the limited few serious minded individuals who will appreciate the miracles they will have available to them, it is a condition of purchase that you agree to never divulge the secrets within the pages of “Klear Thoughts” and also that you will never sell, loan or give away your copy to anyone in any manner. This is a variation of Royles Hot Line routine which allows a randomly chosen audience member to become the mind reader without any pre-show. Two versions are explained one where the onstage volunteer reads the minds of 3 audience members who are thinking of playing cards they have chosen at random and a second version where they are able to read the minds of 3 (or more) audience members and reveal the randomly chosen words that all of them are merely thinking of with nothing being written down by them at any time. A discussion & detailed explanation of the technique which inspired the name for this ebook collection. You’ll be taught a simple way to easily make an ingenious low cost gimmick that will enable you to turn any audience member into an instant mind reader with the greatest of ease and without any form of pre-show work. This is a real time, real world method which used as taught in this publication will truly amaze everyone including the volunteer on stage who successfully ends up reading the minds of audience members. With a Little thought those who have a copy of 13 Steps to Mentalism by Tony Corinda and some commonsense will easily be able to as suggested within the pages of this ebook duplicate the kind of effects you may have seen performed by the famous names on Televison. Yes that’s right not only will this gimmick enable you to turn people into instant mind readers in a manner where all involved will be just as amazed as the watching audience, but also you will learn how to take random audience members and apparently read their minds in the cleanest manner possible. Using the gimmick you can appear to read their minds and reveal their innermost thoughts without any pre-show, without anything being written down by them and just by merely asking them to mentally think of a memory from their life, you are then able to reveal the memory they are thinking of and intimate details surrounding the memory which are confirmed by the spectator to be correct. Would you like to be able to during your act apparently ask 3 random members of the audience to stand up and then one by one be able to tell them exactly what their Star Sign is without any pre-show work, no stooges or instant stooging, no cueing, nothing written down, in fact this looks as close to pure direct real psychic style mind reading as you are ever going to get and you’ll also discover how this approach could also be used to reveal other pieces of personal information about “random” volunteers which you could apparently have no logical or possible way of knowing. As a bonus Royle also reveals how it is possible to turn a randomly chosen audience member into an instant psychic mind reader so they are able to tell three people apparently chosen at random what their Star Signs are! Again no pre-show work and once again a guaranteed audience killer. This unique solution to the legendary Any Card At Any Number (ACAAN) made famous by David Berglas is probably the cleanest and most practical method you will ever learn. Only a handful of people have ever been taught this method during a special workshop Royle held inBournemouthas part of The Southern England Magic Convention (SEMC) 2011. With this routine a sealed envelope is shown and everyone is told that this contains a prediction which will be referred back to later, then a deck of cards is handed to a randomly chosen audience member who shuffles the deck to their hearts content and then they are handed back to the performer who gets someone else randomly chosen by the first spectator to name a playing card in a very open and fair manner. The cards are now once again shuffled by another randomly chosen spectator who is then asked to place them face down onto the table in front of all to see. A final randomly chosen spectator chooses any number between 1 and 52 and then they count down to that number in the face down deck on the table. The randomness of everything is recapped on and then the prediction envelope which has been in full view at all times is picked up and opened, the contents being removed and much to everyone’s amazement inside the envelope is one playing card which is an exact duplicate of the card which was freely named by the audience member. Once the applause has died down the performer instructs the onstage volunteer to turn over the last card they counted, namely the card which was at the position of the number which was also freely selected and miraculously it is discovered to be the exact card that was freely named and it was found at the exact number that was freely named. The deck of cards can then be given away to the spectator to keep as they are totally normal and genuine in very manner. It is important to note that this method is ideal for table hopping as well as stage work and indeed for close-up performers can be rest in a matter of seconds with ease. There is no pre-show work, no cueing, no palming or difficult sleight of hand, no stooging or instant stooging, no clever linguistics required, and no dual reality or similar, indeed the effect on any audience is quite simple and honestly as clean as the miracle you have read above. Indeed Tony Black (Anthony Galvin) of http://www.hypno-fun.eu/ has stated on several magic forums after seeing Royle perform this routine at The Southern England Magic Convention 2011 that it is perhaps the most commercially practical version of the “Holy Grail” that he has ever seen! This is another Solution for the Any Card At Any Number plot which Royle has been working on for many months, and whilst this has (as yet) not been used in paid performances, Royle has road tested the method on friends and whilst out socially with great results. A perceptively even cleaner version (well to magicians at least) which requires you to make four special decks is also explained, although to be honest Royle has found that the two deck version is just as impressive to a lay audience. As always the effect to the audience is that a playing card and number are freely named and then an audience member counts down to that number in a deck which they will recall has been in full view at all times to find that the freely chosen card is indeed at the freely chosen number, and yes afterwards the rest of the deck can be shown to be all different. KLEAR THOUGHT’S WILL RETAIL AS A LIMITED EDITION (200 Copies Worldwide) E-BOOK SUPPLIED ON A SIGNED AND NUMBERED CD-ROM AT THE OFFICIAL RELEASE PRICE OF JUST : £120. The official release date for this publication will be Monday 22nd August 2011 and all orders will be dispatched as an ebook supplied on a physical CD-ROM that will be signed and numbered and sent by First Class Signed for traceable and insured delivery at no extra cost anywhere in the world. Yes that’s right, supplied on the Five Free Bonus DVD-ROM’s you will receive all of the above mentioned items and also several hours of other training videos together with instructional audio MP3’s and numerous Manuals and courses covering all areas of Mentalism – Hypnosis – Cold Reading and the Mystery Arts. *This Product is currently on Pre-Order and Will be dispatched by signed for delivery (insured and traceable) on Monday 22nd August 2011.